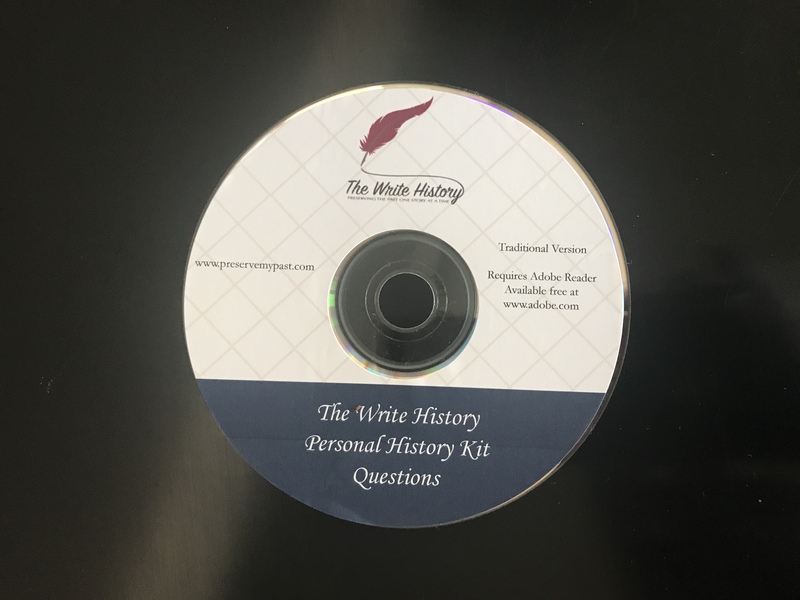 Our Standard Kits feature over 125 questions in an easy-to-fill-out Adobe Reader form, with the ability to add extra pages as needed. These questions are the roadmap for your story, following a combination of chronological and thematic paths. The questions are in the categories of Childhood, Adult Years, Religious Life, and World Events. There are multiple subcategories in both the Childhood and Adult Years sections. 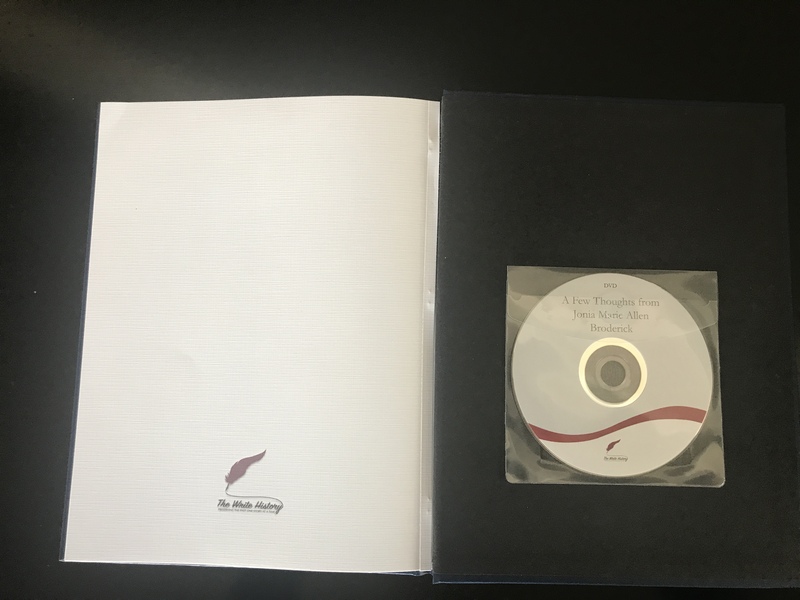 These CDs come in both a Traditional and an LDS format; they are exactly the same except in the Religious Life questions. 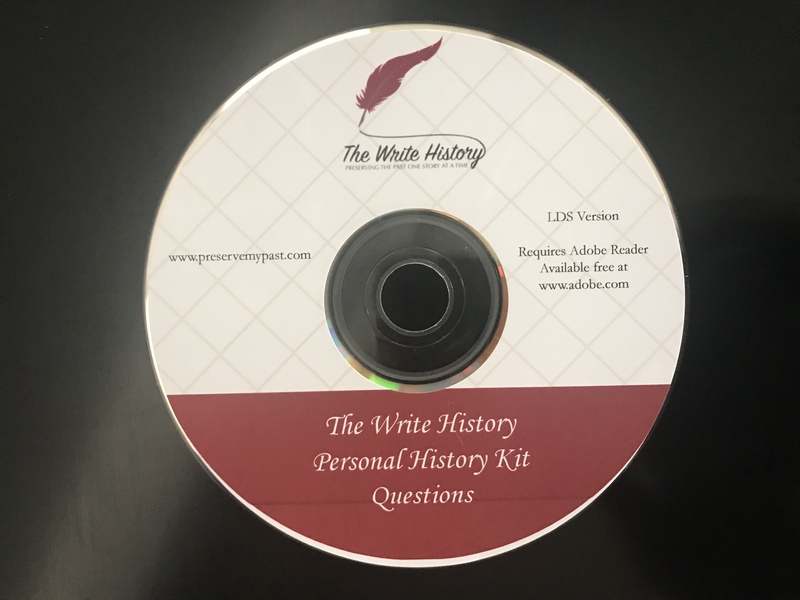 Our Deluxe Kits start with the Standard Kit's questions provided on a flash drive. 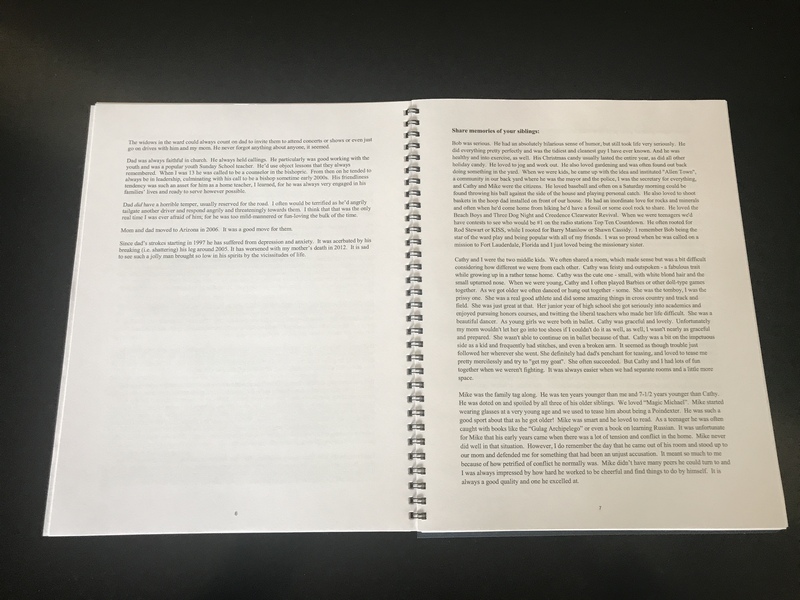 In addition to the questions, however, the Deluxe Version provides layout, printing, and binding services. Ten pages of photos are included in the purchase price. We also remove unwanted pages and insert the extra pages in the desired location. Binding options are for wire binding or hard binding. 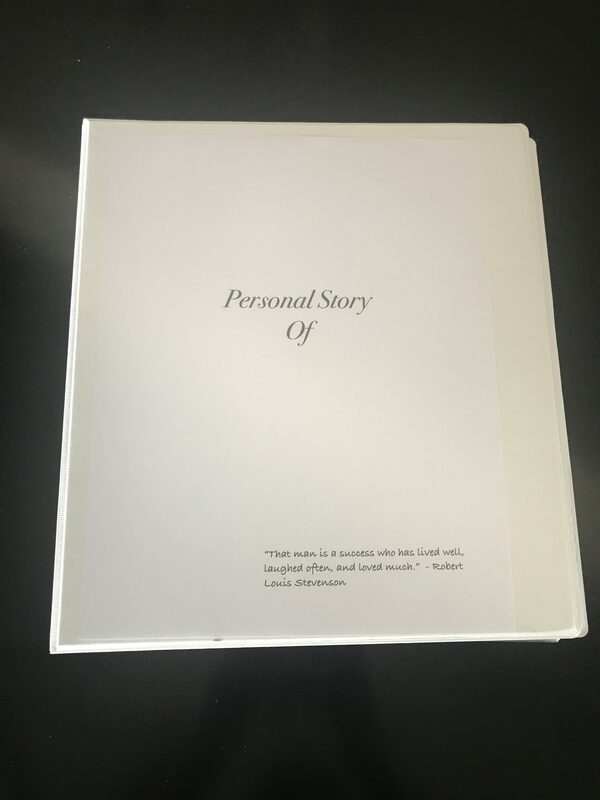 Each copy also includes a DVD of a message by the personal history writer. 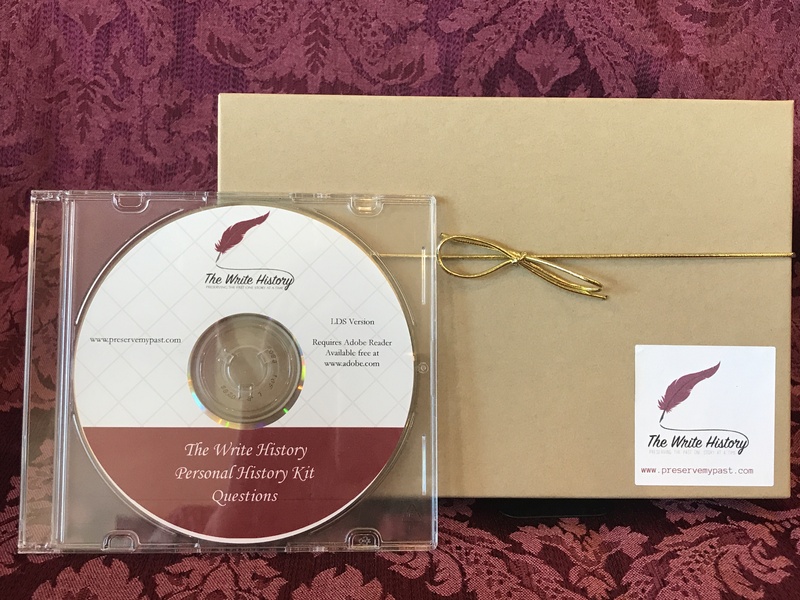 Each order provides 5 copies of the book and DVD, a PDF version of the history for safekeeping or later use, and the attaching of the history to the writer's FamilySearch or Ancestry.com profile. 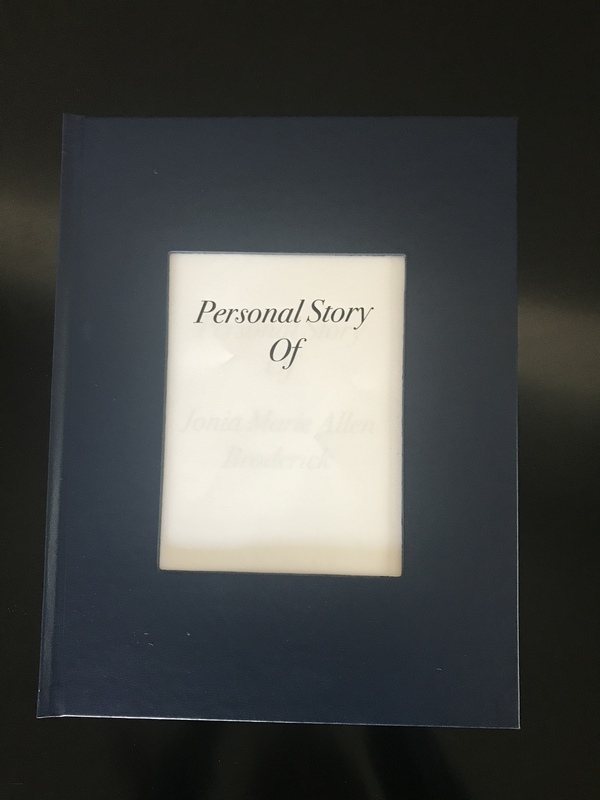 It is ideal for those ready to publish their story and share it with their loved ones. For the computer wary writer, we offer all of our questions in an easy-to-use notebook style. 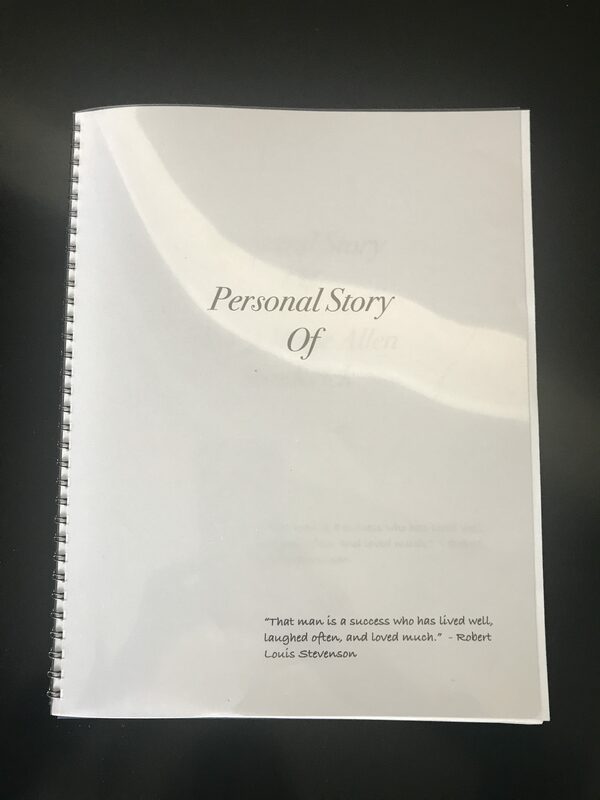 It allows handwritten responses and stories and includes page protectors for sharing photos. 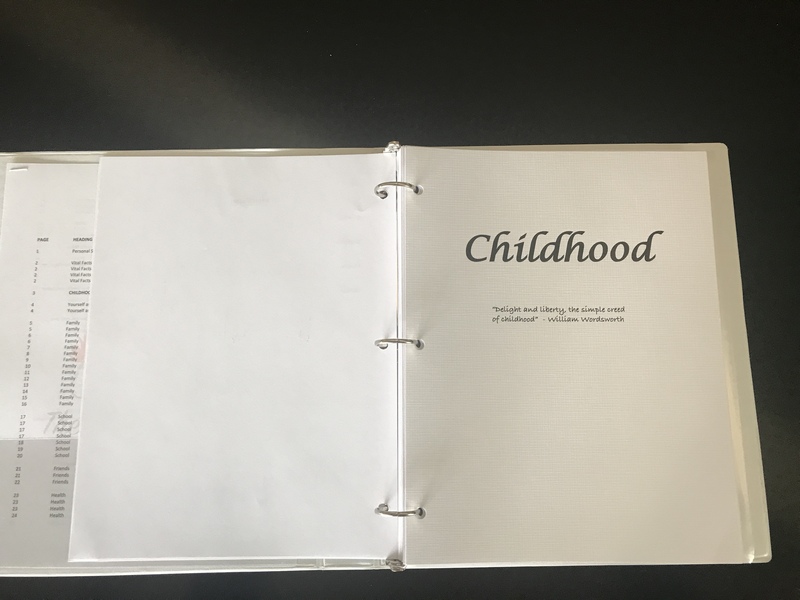 There are options for printing and binding as well.